In order to become a surveyor you must complete the course work that is necessary to obtain your bachelor's degree. This degree program typically requires four years of course work and trains individuals on how to perform geographical measurements. After taking the measurements, surveyors work to provide precise measurements and detailed narratives that discuss landscape structures, landscape profiles, and land use patterns. It is important to note that if the college or university of your choice does not offer a bachelor's degree program in surveying, you will still be able to work in this capacity if you get your degree in geography, cartography, or another related field of study. As you work to obtain your bachelor's degree in surveying you will be required to complete course work in the areas of cartography, human and physical geography, and research methods. Depending upon which four year college or university that you attend you may be required to complete some semesters of cooperative learning. During these semesters you will work in a hands-on setting to gain experience while applying the information that you have been learning in the classroom format. For schools that offer cooperative learning as a part of their bachelor's degree, these semesters are just as important as the classroom instructional semesters. Keep in mind, the semesters of cooperative learning will also count towards the required hours for graduation with a bachelor's degree. After completing your degree you may want to seek employment as a cartographer or as a land surveyor. Should you work as a land surveyor you will spend much of your time establishing water and land boundaries in a variety of situations. You will probably also be responsible for writing the descriptions that are found on legal documents (like deeds and leases), for measuring a specific area's topography, and for measuring a site for mineral extraction or construction. It is important to note that in today's technologically advanced world, surveyors also use a range of technological tools to help with their work and calculations. It is also a feasible option to use your bachelor's degree to work as a cartographer. In this profession you would use demographic reports, mathematics, and survey data to create maps that depict the surface of the earth. Since these maps are used for a wide variety of reasons it is important that your calculations and depictions are accurate. As a cartographer, you will typically be working for a social scientist. You will likely spend your days creating land use maps, topographic maps, demographic maps, and population statistics maps. Land use maps are used to show the location of parks, agriculture, drilling operations, mining operations, urban areas, and forest ranges. Topographic maps are used to show elevations and natural features. In order to actively practice your career in surveying you will also need to obtain your license. The requirements to obtain licensure vary depending upon which state you reside in. Once you have your license you can also choose to become a certified federal surveyor. Start your career training in land surveying. 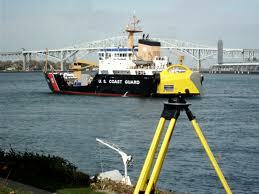 Find a college online to earn your Bachelor’s degree in surveying. We recently interviewed Mr. Stevens who has been working as an air land surveyor for the last 6 years. Mr. Stevens was happy to share with our readers what his duties are and what to expect if you choose this as a career. Question: Tell us about your college education and why you decided upon this industry? Answer: I enrolled in college in California after high school to be an engineer. During my third year I really enjoyed a land surveying course I took and switch my major later in the semester. In the area where I live we have tons of rail lines into our ports so I started learning more about what was needed to break into the industry. Upon graduation I earned by Bachelor’s degree in land surveying and stayed in school to earn my MBA in engineering. Question: Explain what you do at your job. Answer: The first few years I worked with a team of engineers that handle rail design into the ports. We designed rail plans for bridges and port reconstruction. I then learned about a position that involved conducting surveying and mapping by air. I spend several days per week flying in a helicopter taking pictures and videos for engineers. The shots I take help clients see a visual view of the land during presentations. Question: What career advice would you give to anyone looking to become a land surveyor? Answer: I would say earn your engineering degree first. By having your degree it will open up a lot of different opportunities during your job search. Once you get a job you can then start looking into more niche careers. I’ve interviewed with lots of different companies and the one thing they all really like is the fact I have an advanced degree.